A Dorset man was unfairly dismissed from his job at a garden centre because of his anti-hunting beliefs, an employment tribunal has ruled. Joe Hashman, 43, from Shaftesbury, was fired from Orchard Park, Gillingham, after he was a witness in two hunting prosecutions, the hearing was told. One included a hare-coursing trial involving celebrity chef Clarissa Dickson-Wright in North Yorkshire. The hearing in Southampton returned a unanimous verdict of unfair dismissal. Mr Hashman has accepted an undisclosed financial settlement from his former employers, along with a public apology. He was allowed to take his claim to an employment tribunal after a judge earlier this year ruled that Mr Hashman’s views on fox hunting and hare-coursing amounted to a “philosophical belief in the sanctity of animal life” and should be given the same legal treatment as religious beliefs. 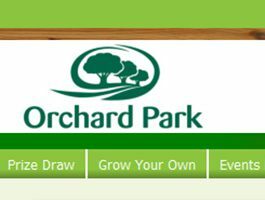 Mr Hashman told the hearing that the owners of Orchard Park had employed as a manager “hunt supporter” Andrew Prater, whom the gardener had seen during hunt protests. In July 2009, Mr Hashman was a witness at the prosecution of two landowners charged under the Hunting Act 2004. He wrote about this on his internet blog, as well as posting criticisms of the Gillingham and Shaftesbury Agricultural Show for its “hunting influences”. Mr Prater died in an accident at this show. Mr Hashman was asked not to return to work on the day of the funeral on 3 September 2009, with the centre telling him the vegetable patch he was working was being cut, the tribunal heard. Two days previously, he had been a witness at another court case in Scarborough involving Miss Dickson-Wright. Mr Hashman said: “I am proud to have established in law my philosophical belief in the sanctity of life – including fervent anti-fox hunting and hare-coursing beliefs. “Succeeding with my case was all I ever wanted to achieve.